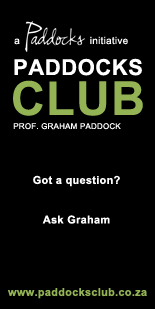 Below is an example of two of the questions on the discussion forum on Paddocks Club. We want to show what is available to our Community Members!Who is liable for insurance excess? Q1. I have been advised by our managing agents that I am liable for the insurance excess of R1,000 on a damages claim of R1,120 to our bathroom ceiling, which resulted from the roof not being properly maintained and repaired by the body corporate. The managing agent said the person submitting the claim is responsible for the excess due to a recent change in the Act; however, I did not ask the managing agents to submit a claim on my behalf and I did not and have not signed the acceptance of loss form yet as the managing agents never sent it back to me, which they should have in June 2011. I just asked them to fix the damage.Please advise if I am liable to pay the excess or how I should handle this? A1. Tell the managing agent that the damage within your section is the direct result of the body corporate’s failure to maintain the common property roof. So even if you would be otherwise liable for the excess payment in terms of PMR 29(4), you would have a claim against the body corporate for the amount because your liability to pay it arises from the body corporate’s failure to carry out its statutory duty to keep the roof in good repair. A2.1. If this window frame is in the section’s boundary wall, as I assume it to be, this proposed alteration involves a change to the common property and this must not be done without the trustees’ written consent, as required by PCR 4(1) – click here to see it (link available to members only). But my reading of your last posting is that this “minor” amendment to the common property is in fact part of the enclosure of a carport, so that it will now be part of the interior living space. This would require amended building plans because carports are not designed to be enclosed.